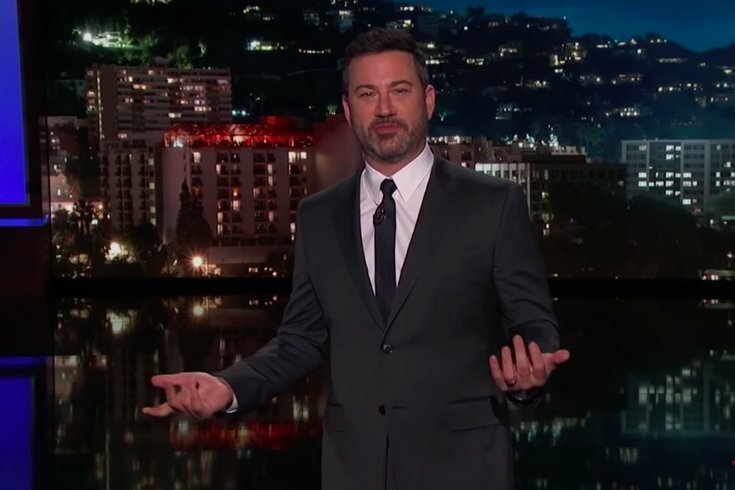 Jimmy Kimmel theorizes on who wrote the New York Times anonymous op-ed about the Trump Administration. By now you may have heard about the anonymous opinion piece published by the New York Times on Wednesday afternoon, written by a stormtrooper a senior official of the Trump Administration offering inside information about the president's office and the collection of staffers attempting to thwart parts of his agenda. The piece, "I Am Part of the Resistance Inside the Trump Administration," is an unprecedented move by the Times, which rarely, if ever, publishes anonymous op-eds. It's also just a generally bonkers story, so, naturally, the internet, and the late-night talk show circuit, have thoughts, including the natural "Star Wars" comparison. Others are theorizing who the author is, and one theory out there points to Vice President Mike Pence. Why? The VP has used the word "lodestar" before, an unusual word synonymous with a guiding star or the Northstar, and the op-ed also includes the word. The vice president denies writing the piece. On the late-night comedy circuit, hosts had their theories, as well. Jimmy Kimmel read excerpts of the article before noting the use of "lodestar" and saying, "That's right – Vice President Michael Elizabeth Pence uses the word 'lodestar.' Trump just announced that the space force's first mission is to locate and destroy the lodestar, wherever that may be." On "The Tonight Show," Jimmy Fallon assumed the character of Trump to rip Bob Woodward's new book about the administration, "Fear." Stephen Colbert also discussed "Fear," announcing his upcoming interview with Woodward. Colbert touched on the anonymous New York Times op-ed, which was published just an hour before taping, saying, "This piece, clearly, it's written by someone who works for the administration, believes in its policies and goals, and still thinks the president is a dangerous idiot. How many people could there be like that in the White House? My guess is: count the number of people in the White House and subtract one." Trevor Noah delved into the Times op-ed on "The Daily Show," comparing the situation to a pilot actively trying to crash a plane.